Home equity is the market value of your home minus what you owe on your mortgage. A home equity line of credit — often referred to as a “HELOC” (hee-lawk) — gives you access to cash by letting you borrow against that home equity. Unlike a home equity loan, which provides a lump sum, a HELOC is a revolving line of credit. It lets you draw money as you need it. Ideal for homeowners who have a new or existing Chase checking account, where interest rate discounts are available on HELOCs. Chase also offers option to convert HELOC to fixed rate for up to 20 years. Ideal for homeowners who want flexibility. SunTrust offers a variable-rate HELOC where borrowers can convert all or part of the HELOC balance into a fixed-rate option. The amount you can borrow through a HELOC usually depends on how much home equity you have and your credit score. Typically lenders won’t let you tap into your home equity if you still owe more than 80% of your home’s value. However, there are exceptions; some lenders will let you borrow against your home equity at higher loan-to-value ratios. The NerdWallet HELOC calculator tells if you could qualify for a HELOC and how much you might be able to borrow in total. Your home’s current market value. Use NerdWallet’s Home Value Estimator if you’re not sure. The outstanding balance on your mortgage. That’s how much you’d owe if you paid off the mortgage today. You can check your latest mortgage statement for an estimate. Your credit score. Unsure where it stands? You can sign up with NerdWallet for your free credit score. The calculator will give your current loan-to-value ratio — the percentage of your home’s value that you owe to your mortgage lender — and whether you might qualify for a HELOC or need to wait. If you qualify, the calculator estimates how much you might be able to borrow. What if you improve your credit score? Generally lenders require a credit score of at least 620 for a HELOC. 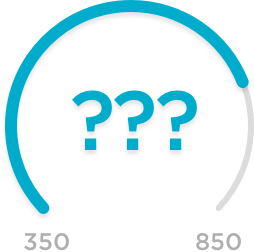 Select a higher score to see how improving your credit affects your ability to qualify. What if the housing market slumps? Over the long haul, home prices generally rise, but they can take big dips, too. Plug in a lower home value to see its effect on your borrowing capability. What if you pay down your mortgage balance? You probably won’t qualify for a HELOC if you owe more than 80% of your home’s value. See how that might change as you pay down your mortgage. Our HELOC calculator will tell you whether you can qualify and how much you might be able to borrow through a home equity line of credit. But no calculator can tell you whether you should tap into that money. Getting a HELOC can make sense for projects that will increase your home’s value, such as major repairs or remodeling. But drawing from home equity is risky for other uses, such as covering vacation expenses, paying off credit card debt or buying a car. Learn more about the reasons you might want a HELOC — and when it’s probably not a good idea. It pays to shop around when searching for the best deal on a HELOC. Check with your primary bank or current mortgage lender, which might offer a discount. Take those quotes and compare them with at least two other lenders. Most HELOCs have variable interest rates, which means the rate on the equity you borrow will move up or down according to a baseline interest rate. Be sure to read the terms carefully and note when the initial rates on any introductory offers expire. Also check the maximum interest rate you could end up with to make sure payments would still be affordable.